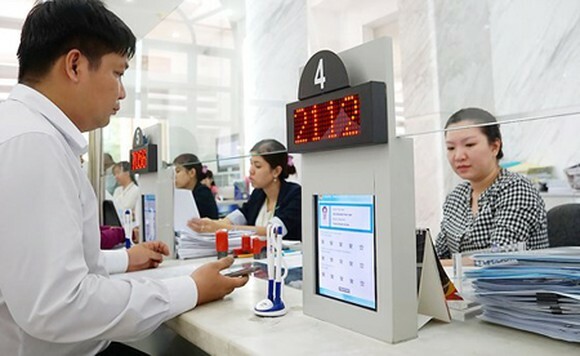 Along with the project ‘smart city’ based on digitizing data and taking advantage of social networks as well as smartphones, since 2018, Ho Chi Minh City (HCMC) has established the goal of offering smart public services to its citizens and businesses. The building of an architecture frame for an e-government is considered the essential initial step. 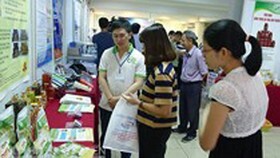 The HCMC Department of Information and Communications, under the supervision of the HCMC People’s Committee, has organized a seminar for the architecture of the municipal e-government for the first time. The event was to introduce the strategic vision on building a smart city to local related offices in the city. This seminar was the foundation and guidance for many divisional offices to refer to when developing, upgrading, connecting to, or implementing their own information system. 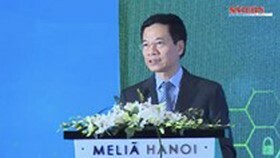 As said by the representative of the HCMC Department of Information and Communications, this guidance is flexible, expandable, and practical while still guaranteeing the synchronicity, unity, and the interoperability among many municipal information systems so that it is possible for officers to keep up with the rapid growth of latest technological solutions like Big Data, Virtualization, Cloud Computing, Internet of Things (IoT). The city has also affirmed that it will use e-government to improve the quality of public services, especially administrative ones. 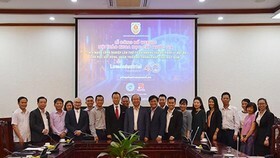 According to the Deputy Director of the HCMC Department of Information and Communications Vo Thi Trung Trinh, since 2010, the city has focused on building an inter-operable e-government via implementing ‘one-stop’ system for various online public services. 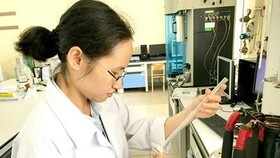 Until now, there have been more than 3 million electronic documents among 750 offices being inter-operable, 21,600 emails being sent to related units and offices, over 40 pieces of management software being used to deliver information to citizens on urban management, business certification issuing, employee use registration, land document management, and complaint management. 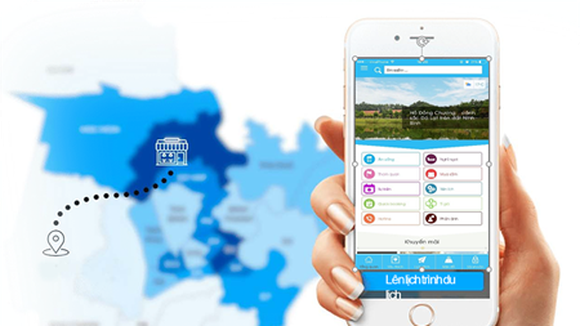 From 2018, the city aims to introduce e-government and offer public services at level 4 on smartphones with higher interactions. 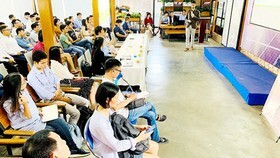 Also, the city is gradually building its smart government from 2020 to 2025 based on the platforms of Big Data, open-sourced data, artificial intelligence, Cloud Computing, while making use of social networks to provide smart public services to residents and businesses. From 2025 on, the phase of personalizing e-government will be launched when nearly all public services are automatically offered via the interactions among smart devices. It is obvious that what the local authorities of District 12 are doing at the moment has satisfied its citizens and businesses to the fullest. It has basically built 2 data systems, consisting of civil data and infrastructure data, with linkable information on civil status, working status, land possession, medical and educational history. It is now focusing on developing applications to manage its officers, the temporary residence, the number of members in a household, property, trees in the area. 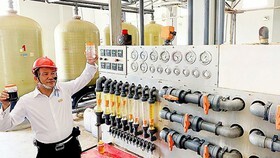 District 1 is also implementing the project to modernize its administrative works. It is now offering many online public services at level 4 such as issuing construction permit, providing planning information along with a planning map of the land. Interested people are able to access this information easily, which makes this perfectly transparent. 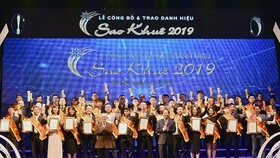 However, according to an evaluation of the HCMC Department of Information and Communications, the specialized information systems are still incoherent, asynchronous, repetitive, and inconsistent. The rate of digitization and data interoperability is still not high enough, making the data share among offices quite low. To somewhat meet the demands, the city has built certain common municipal databases; yet this is still insufficient to support the inter-operations among offices or to achieve the goal of using data as a base for building a smart city. Therefore, constructing the general interoperable data which are neither repetitive nor incoherent is vital in the architecture frame of the municipal e-government. 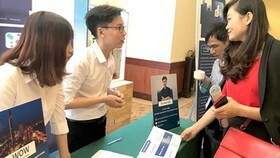 According to Ms. Vo Thi Trung Trinh, local authorities should focus on highly demanded services. Yet because the needs of citizens in each area are never the same, it is impossible to copy a model from this district to another. Therefore, the city allows districts to adjust one basic guiding frame in accordance with practical needs. It is obvious that despite the adjustments, all systems must guarantee a clear transmission of data using an assigned piece of software so that higher levels are able to monitor the progress and time of administrative processes in lower levels. One very essential factor is the information security, which must be prioritized in order to ensure the success of implementing this new architecture frame. Thus, it should be carefully considered and evaluated, regarding policies or technological and physical aspects, in all suggestions of implementing information technology in building an e-government.